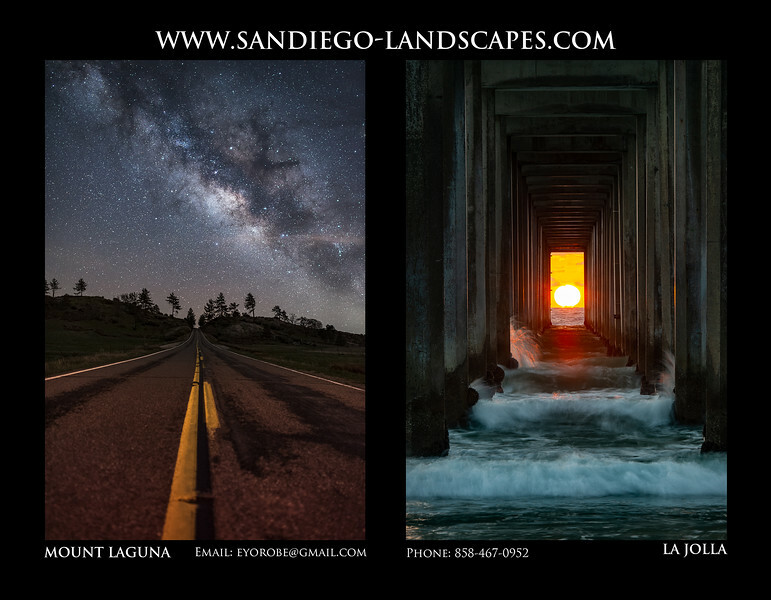 The last of my 2019 Calendars of San Diego Landscape Photography are now 50% off and available for online purchase! To purchase choose one of the quantities below and click "Buy Now" to pay through Paypal. A Paypal account is not needed to purchase, just a credit or debit card. 5 Calendars $50.00 plus tax and shipping. Regularly $100, save $50! 10 Calendars $100.00 plus shipping and tax. Regularly $200, save $100! 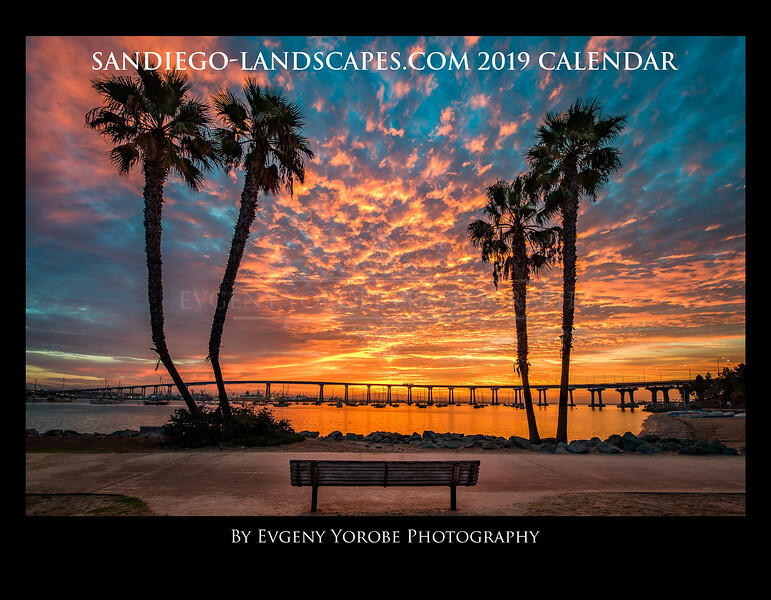 Sized at 8.5"x11" or 17"x11 when unfolded, my 2019 San Diego Calendar is full color and 28 pages. The cover is a thick glossy cardstock with a UV coating and each page inside is 100lb glossy text paper, ensuring high-quality printing throughout. Play the video above to view the entire calendar. 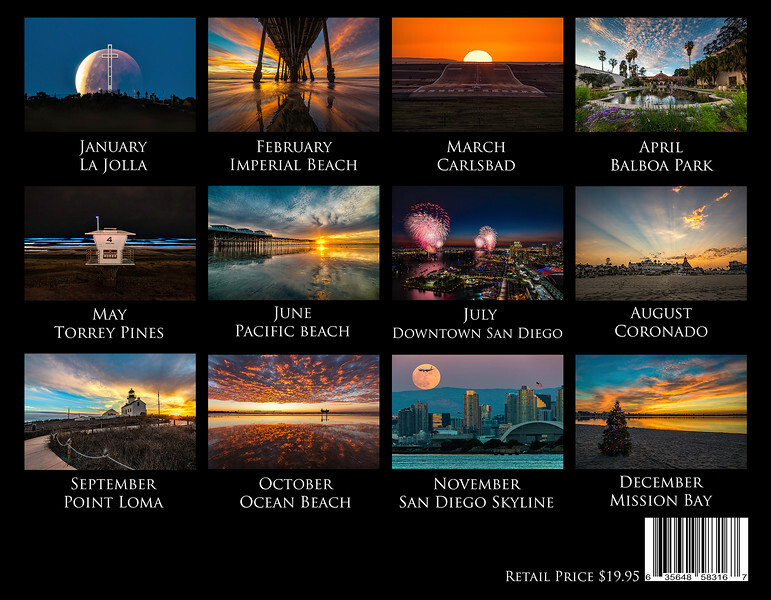 Calendars can be purchased in person at my La Jolla Gallery or at any of my events, my full schedule can be seen here: Schedule Of Events. Completely customized calendars with your logo/business info on every page are available for purchases of 50 copies or more. Please email eyorobe@gmail.com for more info. The June photo this year was chosen in memory of my father, Dr. Edwin M Yorobe. 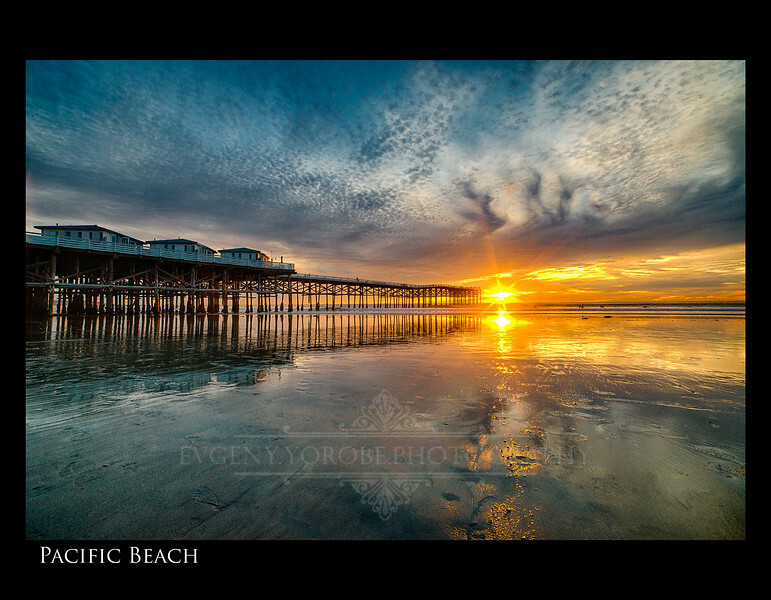 As a child my father would take me to Crystal Pier to go fishing, which are some of my fondest memories of him. He also was my inspiration for becoming a photographer.